Stallings: "I probably said the wrong thing, but I'm not going to let people talk crap about my players." 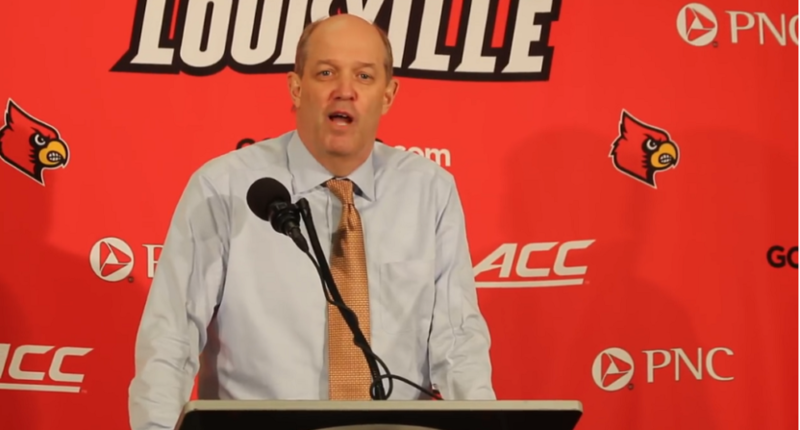 Pittsburgh basketball head coach Kevin Stallings was not in a good mood during the Panthers’ 77-51 loss on Tuesday night at Louisville, and had quite the response to Louisiville fans that were heckling his team. Kevin Stallings has turned around twice and said to fans in the stands, "At least we didn't pay our kids $100,000" according to @LGonTV & @WHAS11Whitney who are sitting right next to the Pitt bench. That comment is a reference to the FBI-led investigation that accused Louisville of funneling $100,000 to five-star recruit Brian Bowen, and resulted in head coach Rick Pitino and athletic director Tom Jurich being fired. UPDATE: Here’s audio of Stallings’ comments to the Louisville crowd.